Being one of the reputed organizations in the market, we are engaged in offering an exclusive range of Vapour Liquid Separator. Our valued clients can avail this culture vessel from us in different models at reasonable prices. Open valve pressure: 2400 kpa. 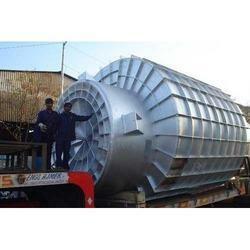 Our organization is engaged in offering precisely designed and developed Vapor Separator. Made available in several specifications, these best functionality separators are extensively applauded for their rigid construction, longer operational life and functional fluency. Vapor separators are offered in tamper proof packaging. Backed by the advanced technology, we offer Vapour Liquid Separator in compliance with the international quality standards. We are one of the most preferred organizations offering Vapour Separators, which are used for separating milk and cream in the diary farms. Known for their sturdy construction, moisture resistance, smooth operation and durable nature, these products are widely demanded in the national market. For clients' convenience, we provide these cream separators at customer-friendly prices. It is a vessel used to separate a vapor-liquid mixture. Gravity causes the liquid to settle to the bottom of the vessel. The vapor travels upward at a designed velocity which minimizes the entrainment of any liquid droplets in the vapor as it exits the top of the vessel. The product manufactured by us, is widely used to separate the vapour & liquid phases of mixtures which contain hydrocarbon and steam. This way only vapour stream is fed out and processed further. It comprise of a vessel, a hub, two vapour outlets; one located at distant end of hub and the other located below vapour outlet. The filler adopt the convection filling type.This filling principle could prevent product polluted and increase filling speed. The filler is suitable for Tea Drink, non-granule juices, mineral water and etc. 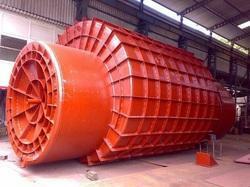 Industrial Vapour Separator are offering by us these are made by fine quality of engineering goods. These are used for for separate the liquid and vapor. These are according to the client requirement.